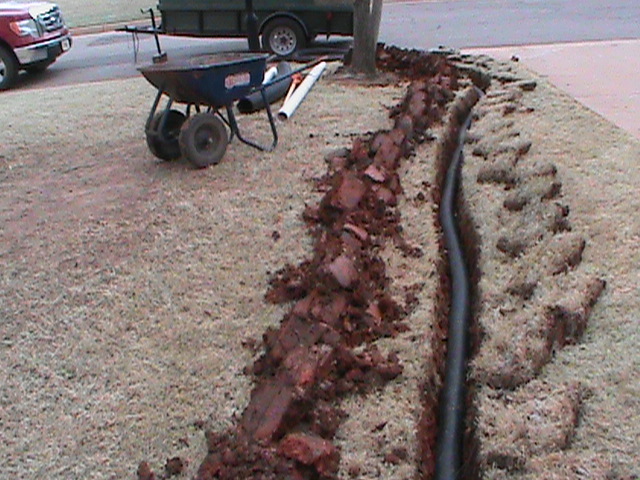 Many times a Drainage System must be installed in a home before it can be bought or sold. Structural Engineers may require a French Drain or a Surface Drain to be installed to solve a Drainage Problem before a home can be sold. CMG solves drainage problems that allow homes under contract to be sold. 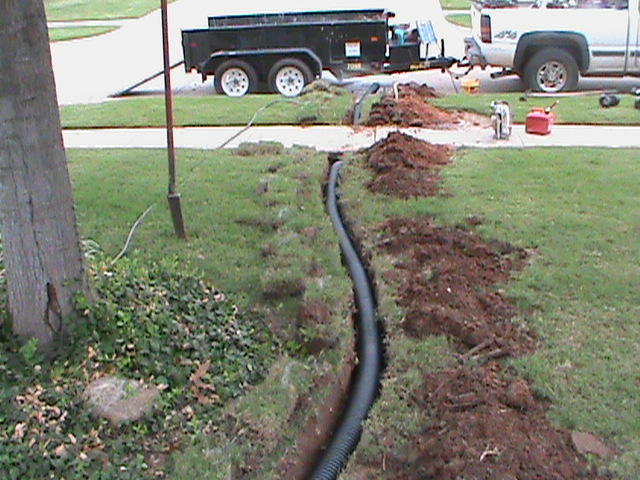 We get calls all the time from frantic realtors who need a Drainage Systems installed in a hurry. Many times we have installed a Drainage System before a home could be sold on the scheduled closing date. In the above picture, water was standing in the middle of the sidewalk in front of the front step. We came in and installed a Channel Drain. The home in Norman sold on time, making its closing date. 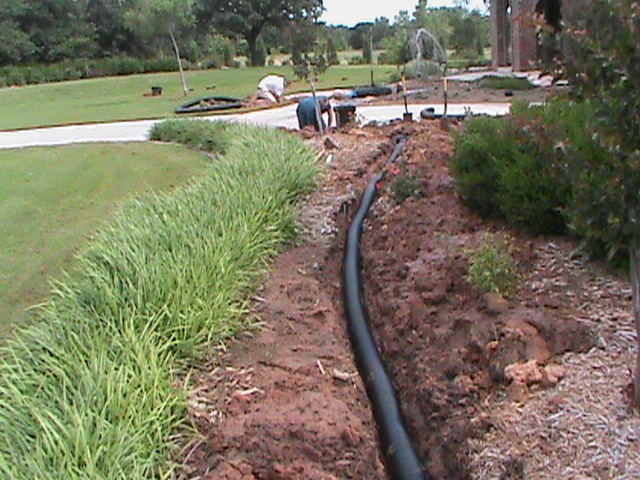 CMG installs French Drains, Surface Drains and Channel Drains. 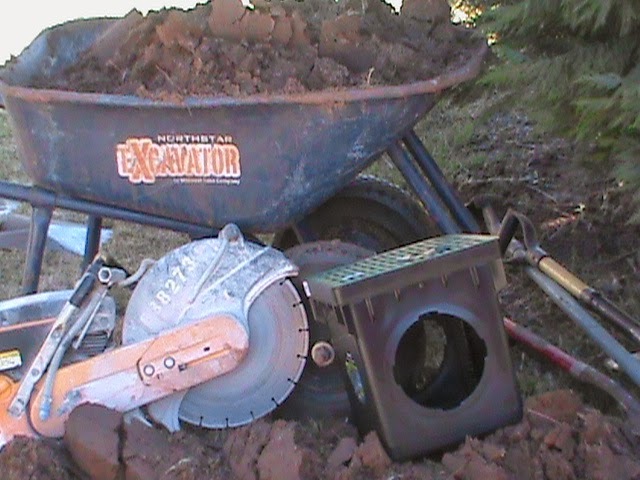 Many times they are used together in combination to create a complete Drainage System. 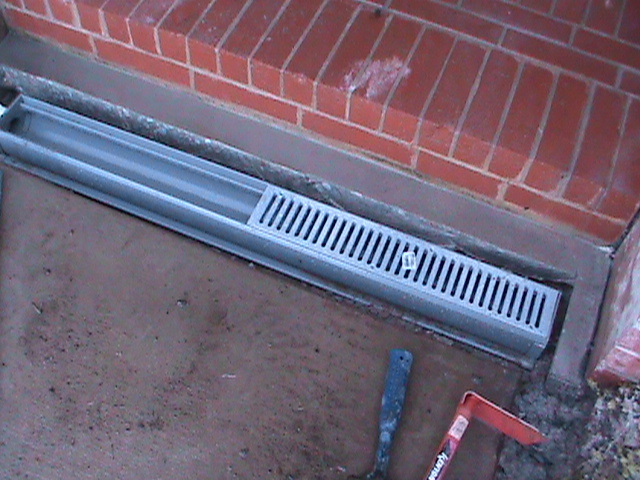 We also connect gutter down spouts into our Drainage Systems where possible. 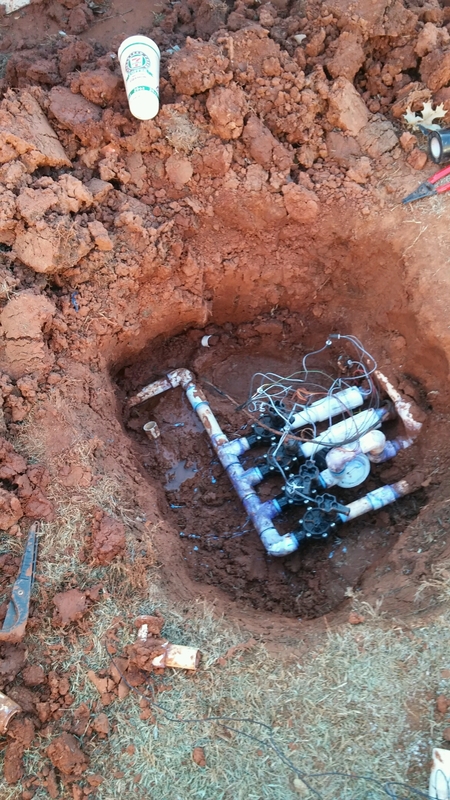 CMG also installs Lawn Sprinkler Systems and provides expert Sprinkler Repair. CMG recommends The, “Perfectbore Company,” for all your Directional Drilling needs. Founded by Carl Nida and servicing the entire state of Oklahoma. If you need PVC Pipe or Electrical Conduit installed in tough, hard-to-get places, Give Perfectbore a call. Perfect Bore installs: Drain pipe, PVC Pipe or Conduit under sidewalks, driveways, roads, parking lots. If you need Precision Directional Boring give them a call. Directional Drilling is designed to get pipes or conduit into places that you can’t get to with a shovel or a trencher.